After that ridiculously cold and snowy winter, it's almost hard to believe that summer is upon us, but the lengthening days and the new leaves, grass, and flowers tell us that it is. Not to mention that Gin & Tonics are now on my cocktail hour menu, I have thrillers on audio to listen to while mowing the lawn, and the hammock awaits. In The Truth According to Us (The Dial Press, June 9), it's 1938 and the Depression grinds on. Layla Beck, the spoiled daughter of Senator Grayson Beck, pushes her father one step too far when she refuses to marry the rich, boring man her parents prefer––and makes the mistake of telling her father that it's because she can't respect a man who doesn't work. Since Layla has never done a day's work in her life, the Senator decides to twist his brother's arm to give Layla a job in the FDR administration's Works Progress Administration, specifically on the Federal Writers' Project. Next thing you know, Layla is on the train to Macedonia, West Virginia, tasked with writing the town's history. She's to be a boarder with the Romeyn family, headed by the strong-willed Jottie, who is already categorized in town as a spinster, though she's just in her 30s. Also part of the household are Jottie's twin sisters, Mae and Minerva (who are married, but live in the house without their husbands much of the time), Jottie's young nieces, Willa and Bird, and, occasionally, Jottie's charming brother, Felix. 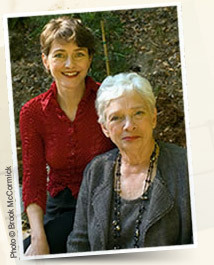 The book is narrated by Layla and by Willa, who is 12 years old. Both of them are searching to find out about the lives of Macedonians. Willa is curious about her own family. Why doesn't her family run the local American Everlasting mill anymore, what happened between Jottie and the long-dead Vause Hamilton, and what does her father really do when he says he's off on his job as a chemicals salesman? Layla wants to know about the real history of Macedonia, not the sanitized version told to her by the self-styled town leaders. Her research reveals the less squeaky-clean aspects of that history and exposes long-buried secrets of the townspeople, including the Romeyns. I had the opportunity to read an advance review copy of this book, and I have to say right off the bat that it's no Guernsey. But, to be fair, you can't expect that kind of magic twice. 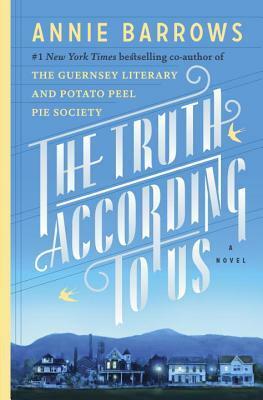 I liked the characters in The Truth According to Us, and their relationships, but the story had a lot more sprawl than Guernsey and I thought it would have benefited from some tightening up. Still, I think this will find an appreciative audience and will probably be popular with book clubs in the next year. 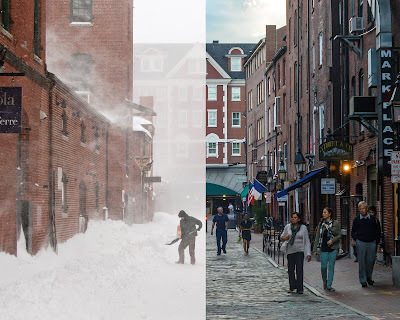 As you might know, I live in Maine. I never, ever leave Maine in the summer if I can help it. It's paradise on earth here in the summer, so why would I? But I do like to do some summer traveling in my book reading, and one of my favorite destinations is France. It looks like I'll have plenty of opportunities to visit France this summer. I'll definitely include a visit to the north, with Jean-Luc Bannalec's Death in Brittany (Minotaur Books, June 30). This is a fish-out-of-water kind of story, with grumpy coffee fiend Commissaire Georges Dupin being a former Paris cop now living in Pont-Aven, a fishing community and artists' haven on the Breton coast. He's irritated to be dragged away from his favorite beverage to investigate the stabbing murder of 91-year-old hotelier Louis Pennec. But he's also intrigued. Who would kill such an old geezer, especially one who was apparently terminally ill? Dupin soon puts together a fairly lengthy list of suspects, including members of Pennec's quarrelsome family and the local art world, and we're off. It's been awhile since I've been able to find a good traditional police procedural, so I'm impatient for this one. I'm not normally much for noir––that's Georgette's department––but for some reason I like French noir, like Jean-Patrick Manchette's novels. 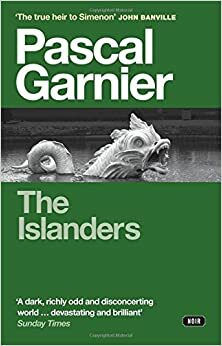 Somehow, until now I've missed hearing about Pascal Garnier, author of The Panda Theory, How's the Pain?, Moon in a Dead Eye, The A26, The Front Seat Passenger and now, translated into English for the first time, The Islanders (translated by Emily Boyce, Gallic Books, June 9). It's just 112 pages, but when I read the description, it sounds like that might be more than enough for this dark-as-ebony tale. It's a not-so-festive Christmastime in a nondescript Versailles neighborhood. Recovering alcoholic Olivier is home for his estranged mother's funeral, and bad weather keeps him there for days on end. Holed up in his mother's apartment, he discovers that his childhood friend, Jeanne, is still living in the building––right across the hall, in fact. Jeanne is stuck, the caretaker for her blind brother, Rodolphe. Rodolphe has taken in a homeless man, Roland, and these four decide to have a pre-holiday dinner together. The wine flows, Olivier falls off the wagon with a bang, and ugly secrets come out. There is a particularly nasty secret past shared by Olivier and Jeanne, who were extremely close as kids. Rodolphe was always jealous of their relationship and he's grown into a bitter and manipulative man. The reviews imply that something very bad happens, and the hits keep coming as these not-so-lovable losers are marooned together in the bleak midwinter. It sounds like I'll be happy to counter the chill of reading this by doing the reading on a sunny summer afternoon. For a change of mood, Nina George's The Little Paris Bookshop (Crown, June 23) is an option. I love books about books and I enjoyed The Storied Life of A. J. Fikry, which this is compared to, so I thought this was a good bet when I got the opportunity to read an advance review copy. But right away, I had misgivings about the book. A story about lost love whose protagonist is named Jean Perdu? That's a little heavy-handed, isn't it? And the set-up for Perdu's barge journey from Paris to Provence is almost unbearably maudlin. So as not to spoil the plot set-up, I'll just say that Jean Perdu runs a bookshop called the Literary Apothecary from a barge on the Seine in Paris. He has lived a melancholy life for 21 years after his love, Manon, left him. He prescribes books to his customers like medicine for their hearts, though his own seems to be permanently broken. 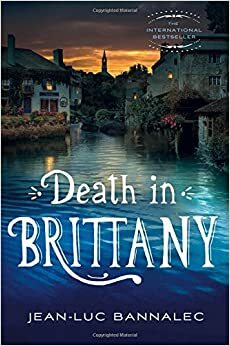 But as a result of a conversation with his new neighbor, Catherine, who has been cast off by her husband, Perdu suddenly casts off in his barge, headed south to Manon's homeland. He is joined, not through his choosing, by his young neighbor, Max, a popular but now blocked writer, and, during the journey, by two other lost souls. Despite its tendency to obviousness and excess schmaltz, the book has an appeal. It's still a book about books, coupled with the story of a journey, something I also usually love in a book. Someday I hope to take a barge trip down French waterways, so I particularly enjoyed the evocative descriptions of the river journey, nature, the villages, and townspeople M. Perdu and his traveling companions meet along the way. It's best when the author focuses on things other than Perdu and Manon; at those times, the story is more lively and spirited. Otherwise, it can bog down in melancholy until you want to do like Cher in Moonstruck: slap Perdu's face and tell him to snap out of it. If you believe the stars are God's daisy chain, or if you're in a sentimental mood––the kind of mood where you'd like to curl up and watch An Affair to Remember––then The Little Paris Bookshop will likely be right up your alley. But if you're feeling cynical and hard-edged, it might be best to save it for another day. I will say that most advance readers seem to love the book, so don't let my bit of eye-rolling put you off. You know my mania for World War II stories, especially those about women agents dropped behind enemy lines in France. Naturally, then, I'll be reading Peter Watson's Madeleine's War (Nan A. Talese/Random House, June 2), a novel based on Churchill's Special Operations Executive, which specialized in training agents, including many women, for tremendously dangerous espionage missions in occupied countries during World War II. Here, the SOE is fictionalized as Special Command Two, or SC2. After being seriously injured in combat, Matthew Hammond is sent home to England, where he becomes a training officer for SC2. One of his new trainees is French-Canadian Madeleine Dirac. Against all regulations and common sense, the two fall in love, and Hammond is the one left behind as his lover goes into danger. Hammond knows too well how likely it is for agents to be captured, tortured, and executed by the Nazis. As I look at reviews, I'm reading that a major focus of this novel is the immediate postwar period, when the fate of so many agents was unknown and only very gradually, over many months, was it revealed who lived and who died. This difficult period is the focus of the very fine nonfiction book by Sarah Helm, A Life in Secrets: Vera Atkins and the Missing Agents of WWII. Helm also has a stunning new history out called Ravensbrück: Life and Death in Hitler's Concentration Camp for Women (Nan A. Talese, March 2015), which also (in part) tells the story of many of the SOE agents captured by the Nazis. I hope Watson's fiction can do justice to the searing history. That's about it for my virtual travel to France this summer. In the coming days, we'll see where my fellow Material Witnesses will go in their reading this summer. Note: Parts of this post may appear in reviews on other sites under my reviewing name there. I received advance review copies of The Truth According to Us and The Little Paris Bookshop.